A few weeks ago, we reviewed the Little Smokies from The Patriot Brands. 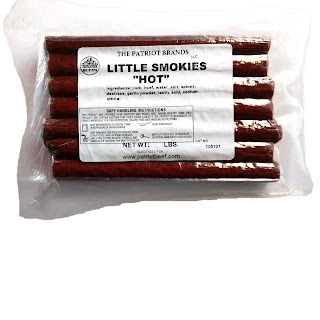 Today, we have their "hot" variety of the same. 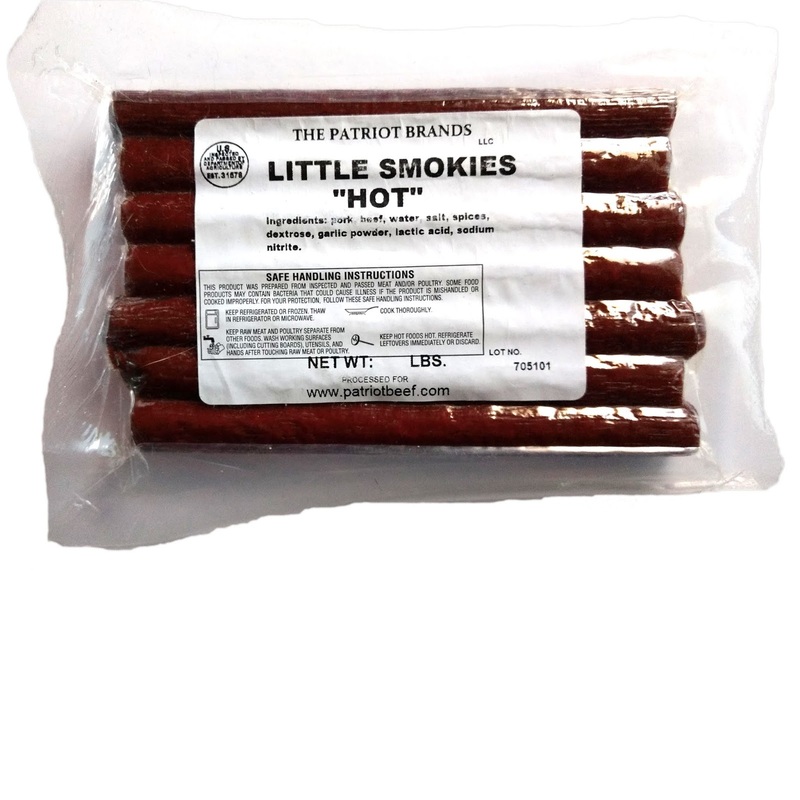 These "Little Smokies Hot" flavor are summed as, "Warm but Wonderfully filled with the best Spices available", going on to say that they're, "Smoke cured to perfection." 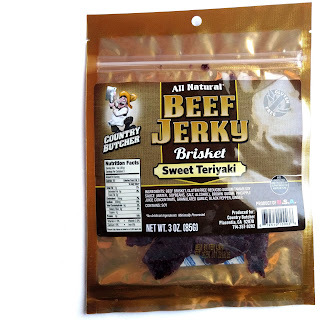 This Sweet Teriyaki variety is marked as being made from "Brisket". 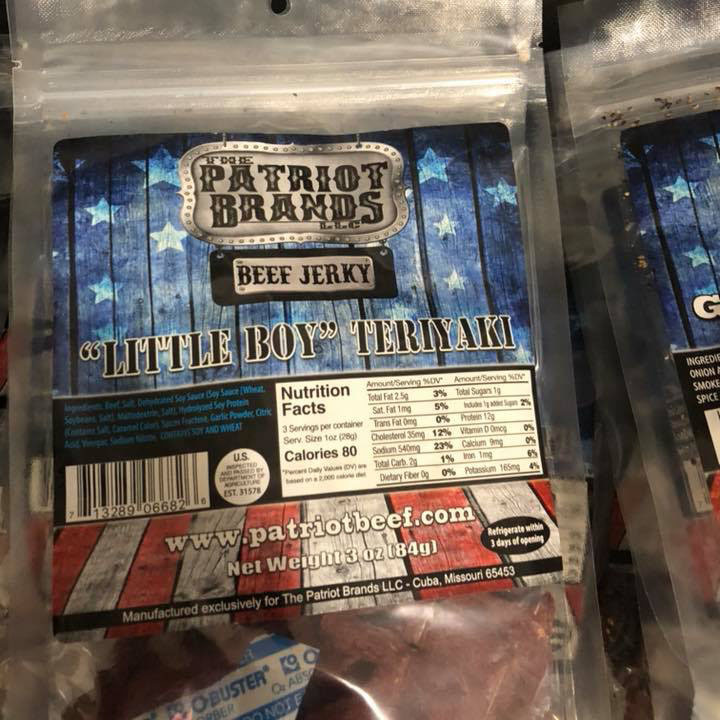 It's also marked, "Gluten Free" and "All Natural". 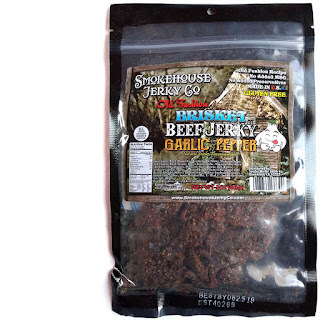 This "Garlic Pepper" variety is described by the company as being, "paired with our special garlic marinade", going on to say that it's sprinkled with garlic bits, and that, "you’ll definitely feel its strong earthy and pungent taste with every bite". Bovino Crispy Grass-Fed Beef Jerky is a new beef jerky brand that launched in 2017 by Trisha Paternite based out of San Francisco, CA. 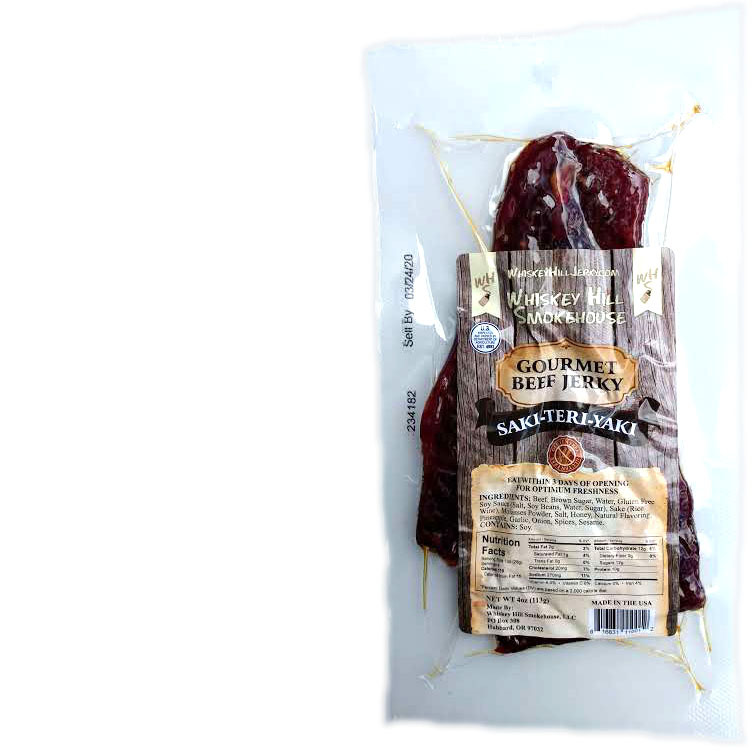 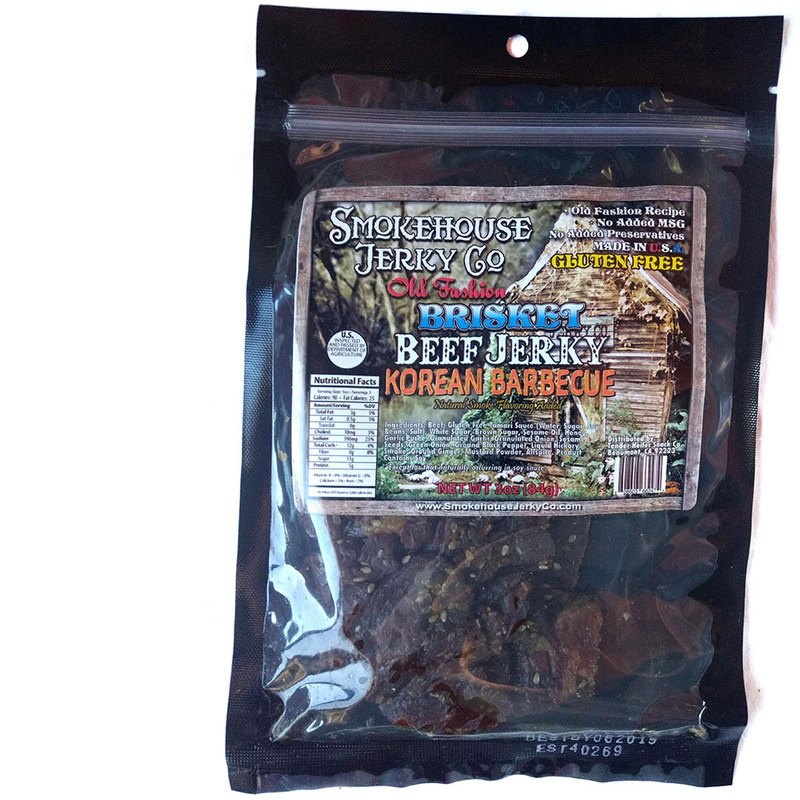 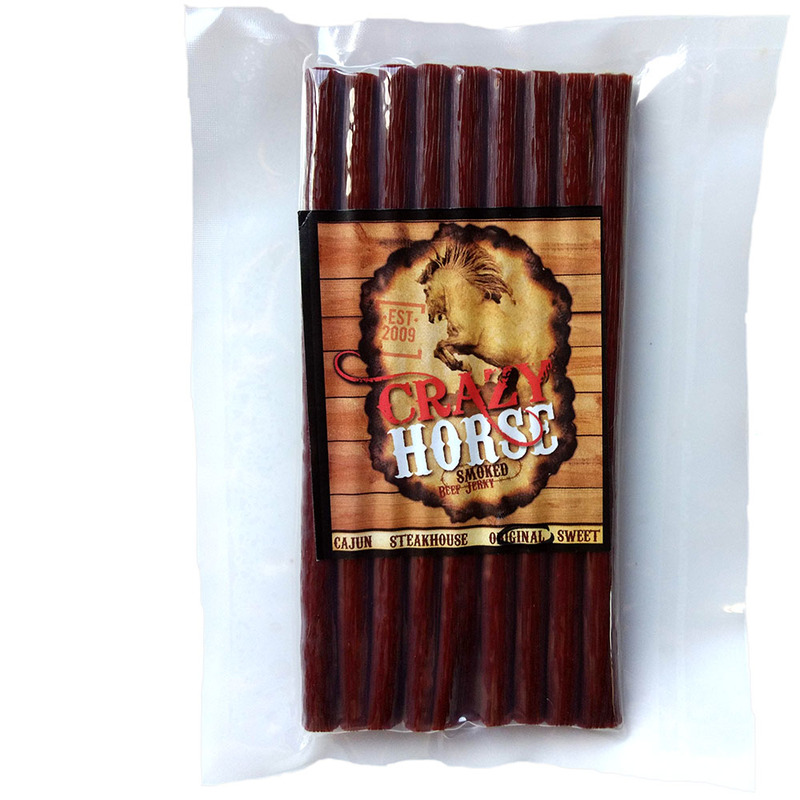 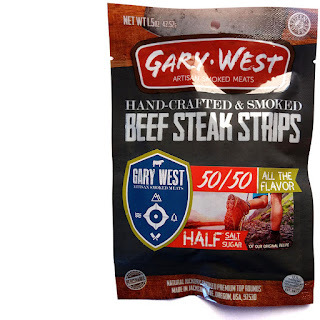 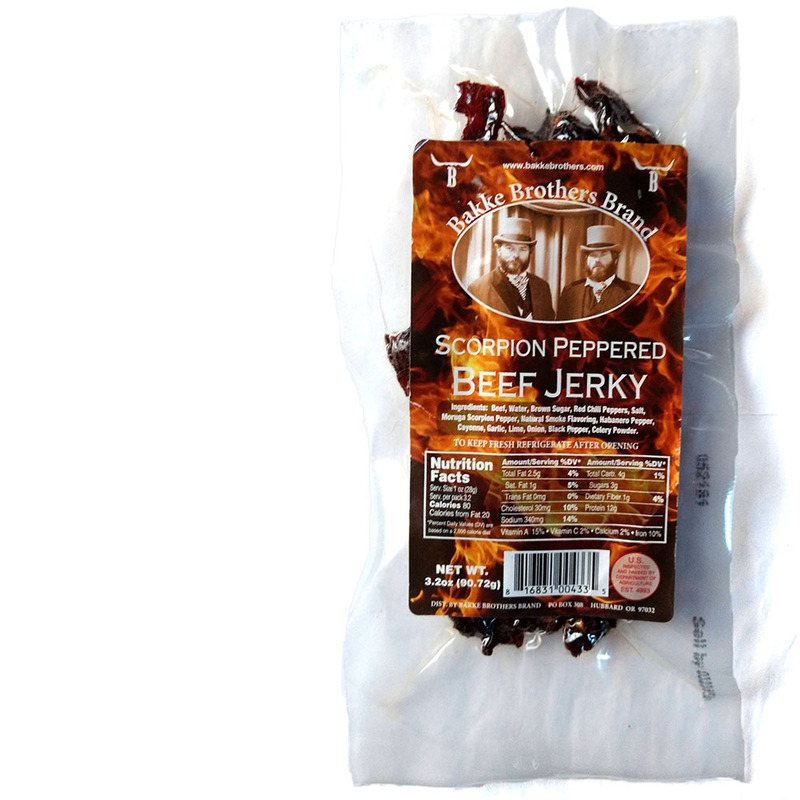 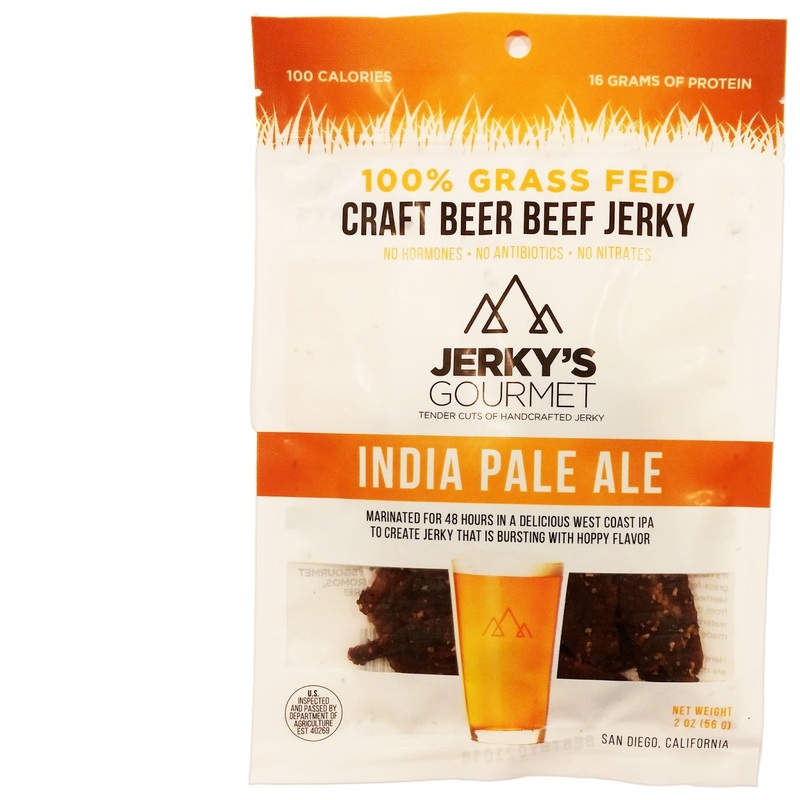 It's thin-style jerky for those who like it dry and crispy. 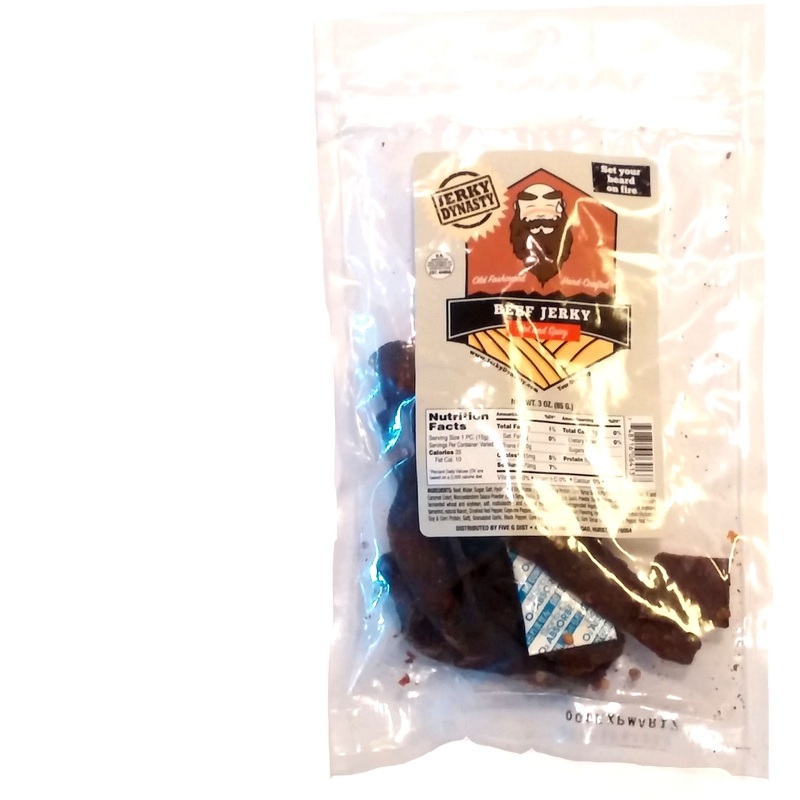 The idea came about when Trisha and her husband would frequently visit his Dad in Cleveland, OH and enjoy samples of his homemade jerky. 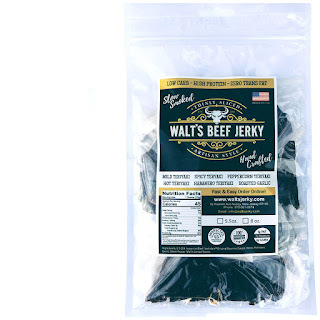 Whey they brought some of it home to their friends in California, and learned how so many people craved it, they realized there was a business waiting to happen. 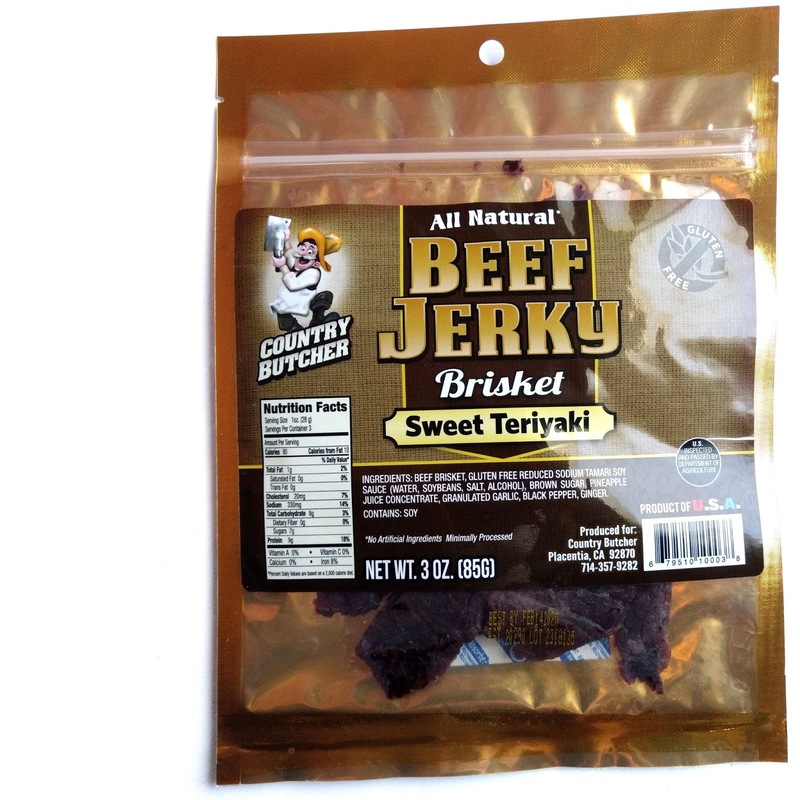 Trisha and her husband took his Dad's recipe, but sliced it more thin with the idea of making it crispy. Since then, their business has been one of those worthy enough to make it into La Cocina, San Francisco's food-business incubator, and are currently selling it from their website. 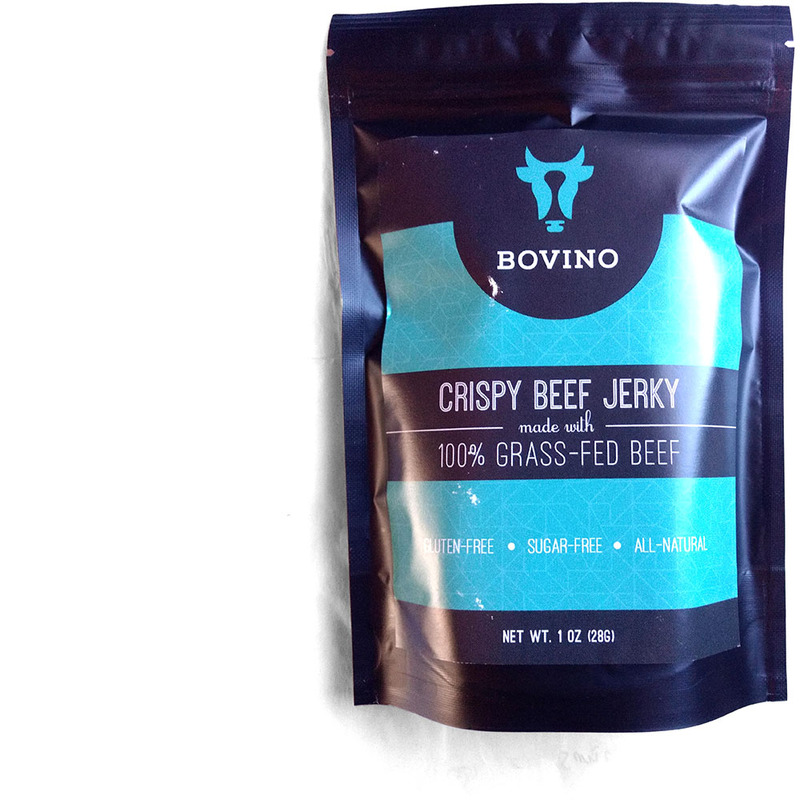 Bovino Crispy Grass-Fed Beef Jerky is marked as, "no sugar", "no preservatives", and "gluten-free", along with, of course, "grass fed". It also uses all organic ingredients, though at this time it's not marked with a certified-organic label. 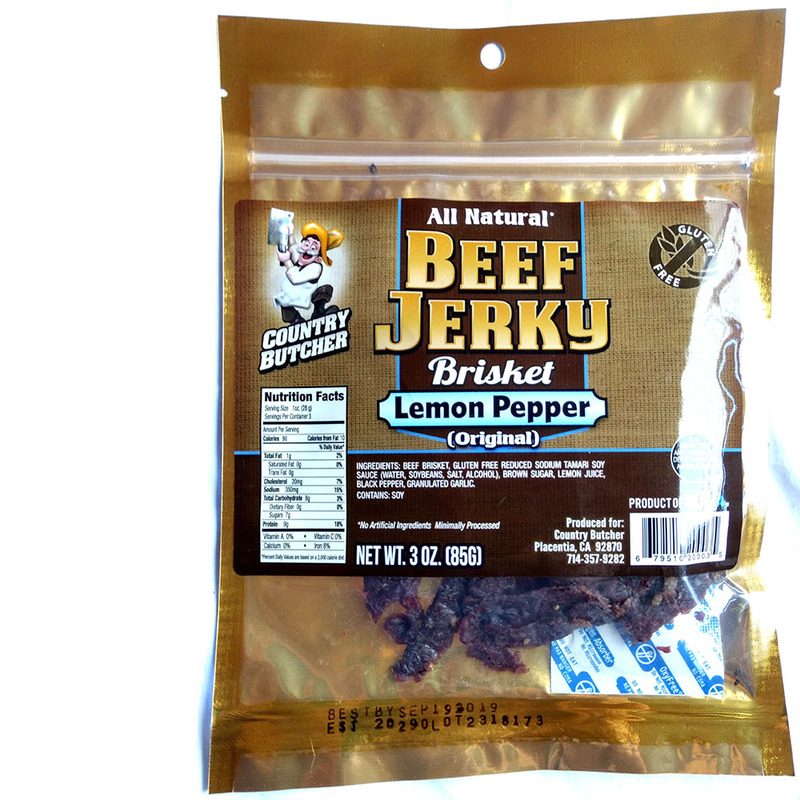 This Lemon Pepper variety is marked as, "Original" indicating it's the company's flagship flavor. It's also marked, "Gluten Free" and "All Natural". 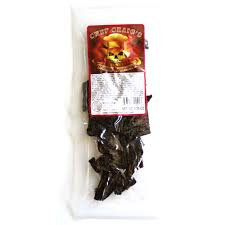 Claiming this will, "it will light a Fire within your soul", the company describes this Carolina Reaper Freedom Fire variety as being made from their own hot sauce of the same name. 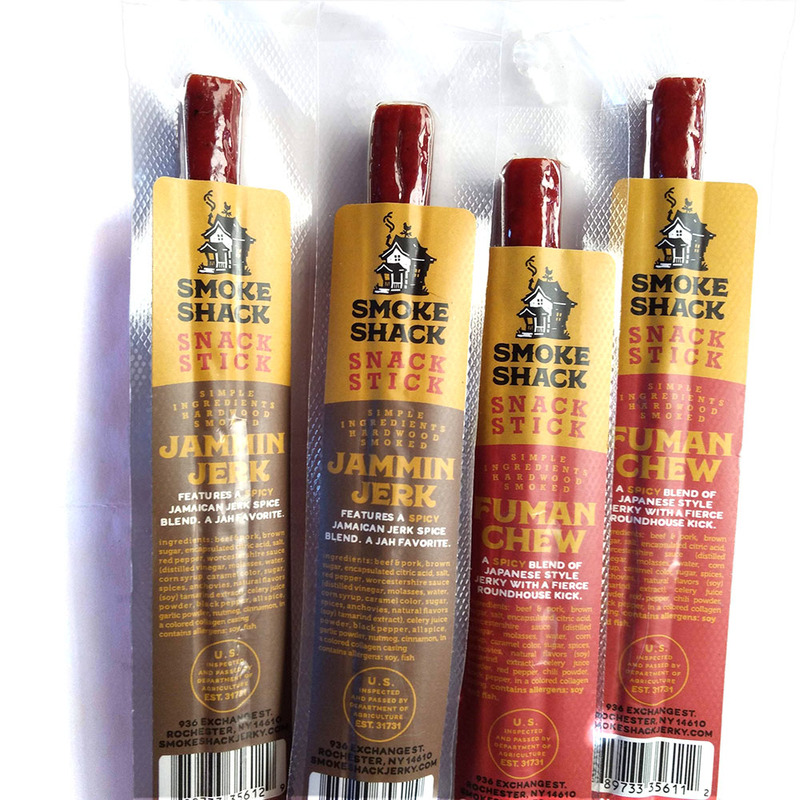 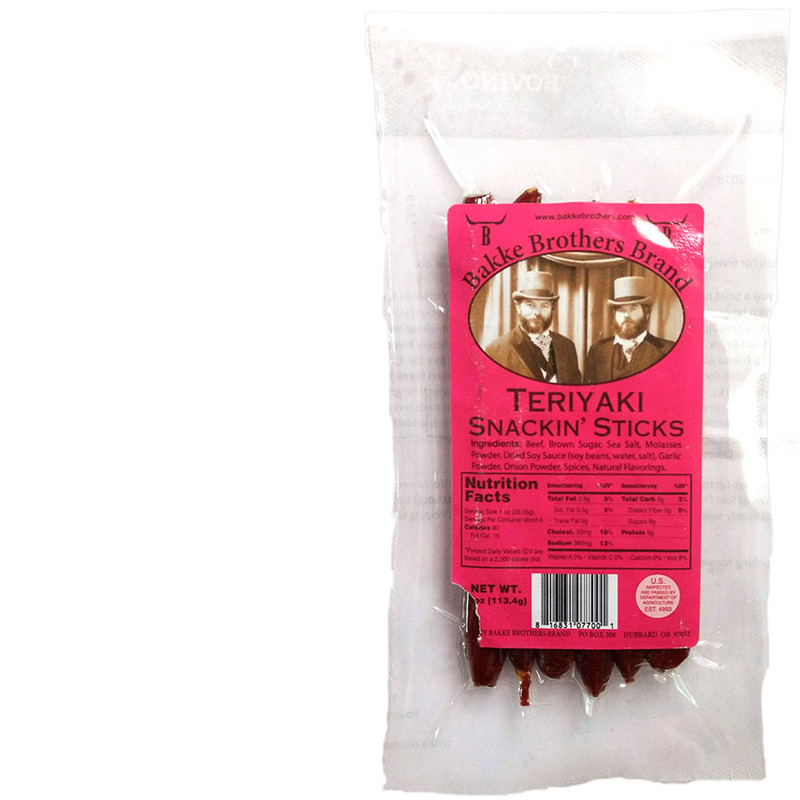 These "Teriyaki Snackin' Sticks" are made with the company's own teriyaki marinade and are marketed towards meat snackers who crave a sweeter, milder, chew. 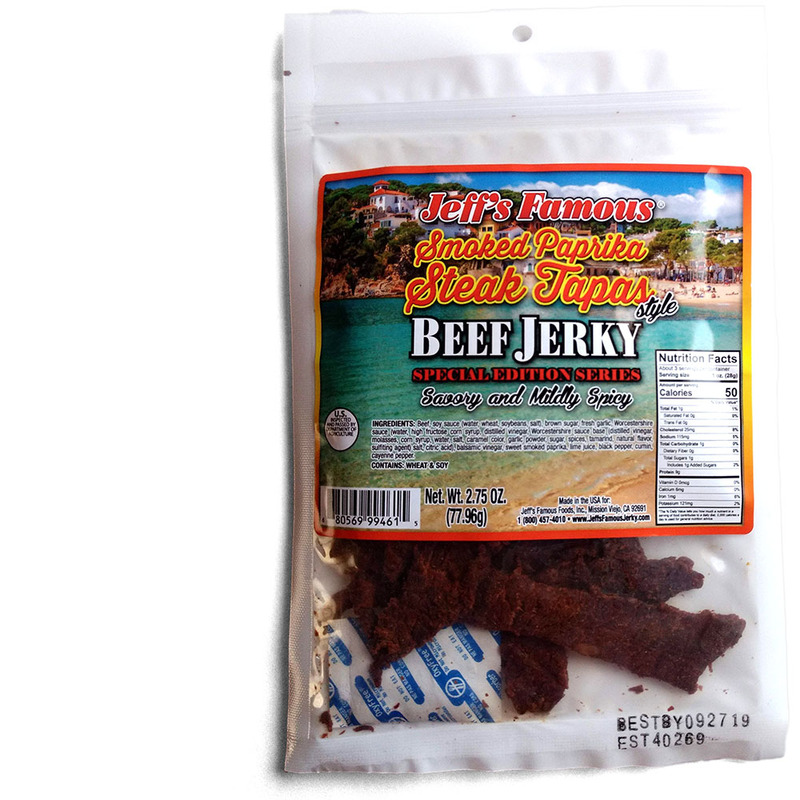 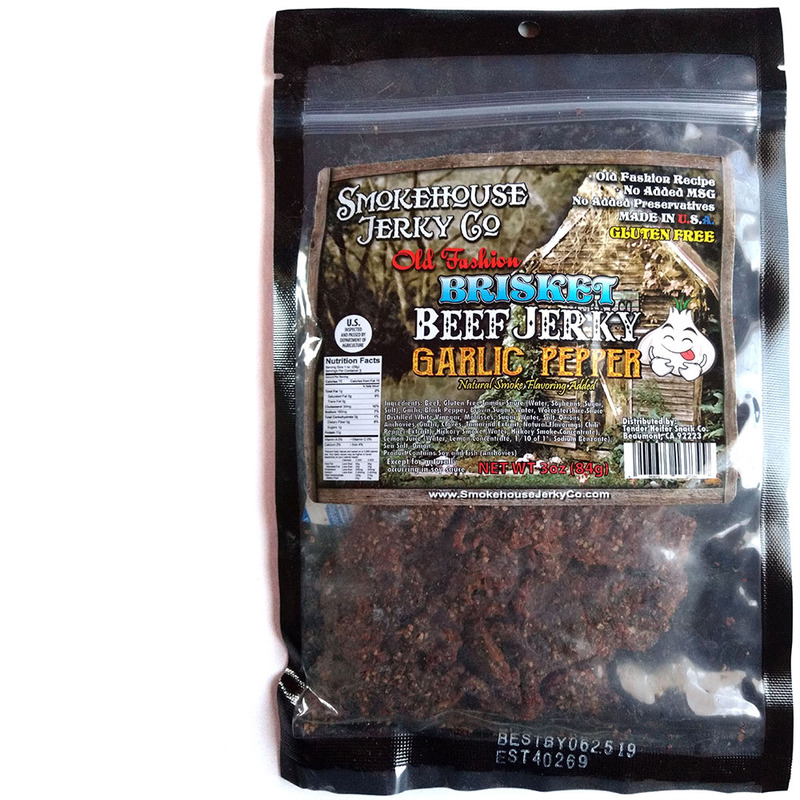 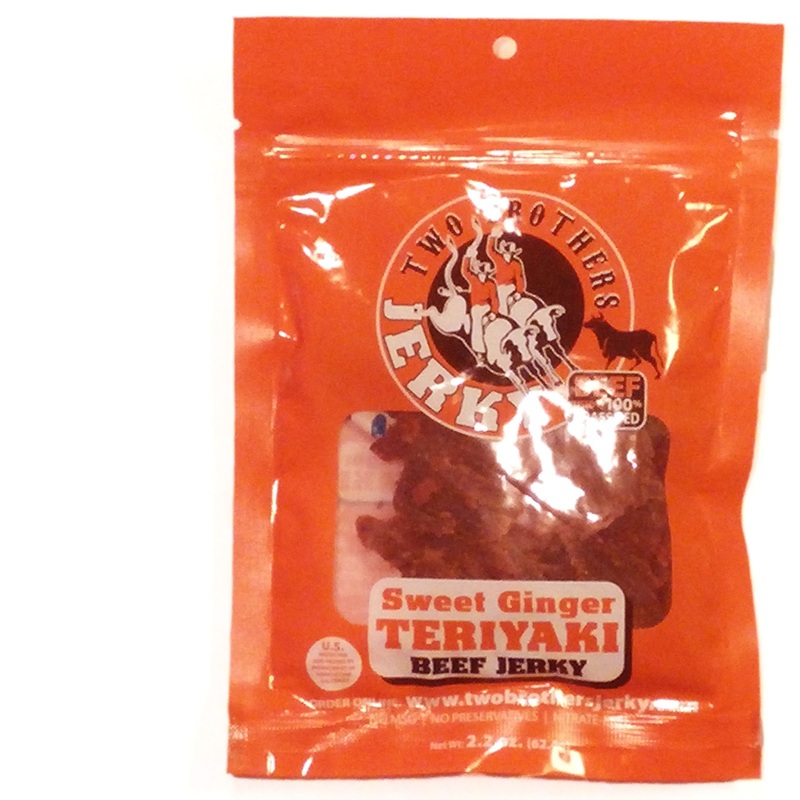 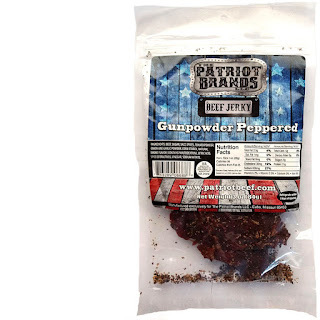 Jeff's Famous Jerky recently released this new flavor, Smoked Paprika Steak Tapas. 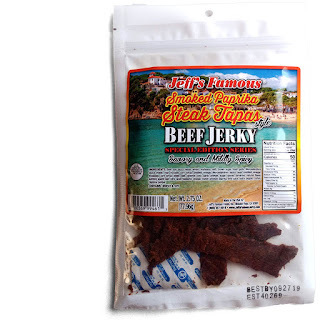 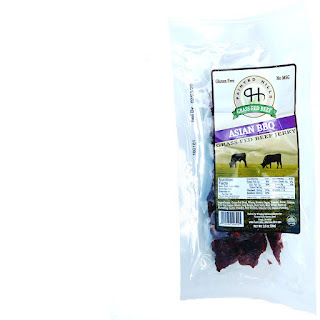 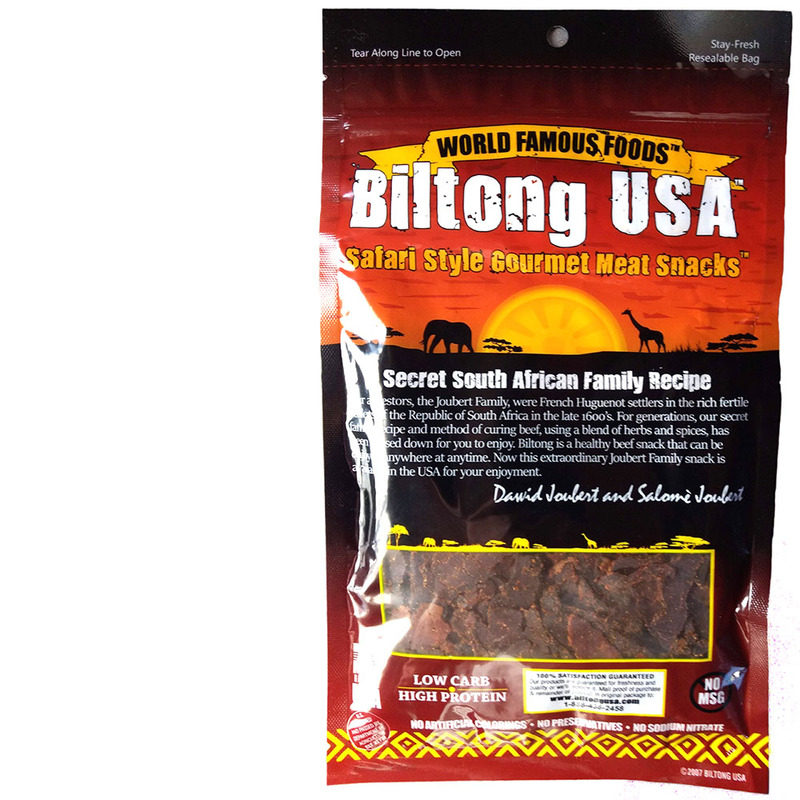 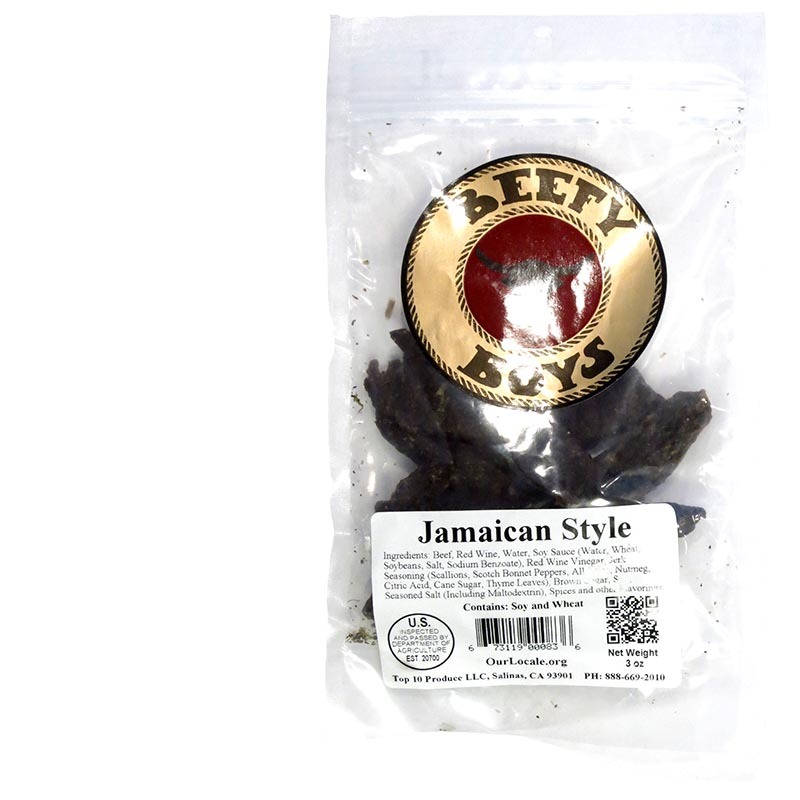 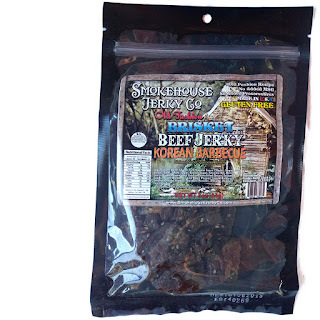 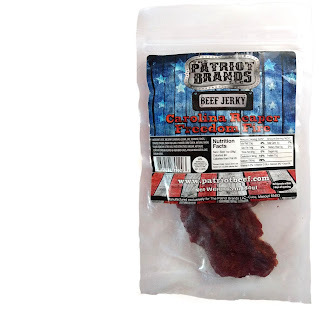 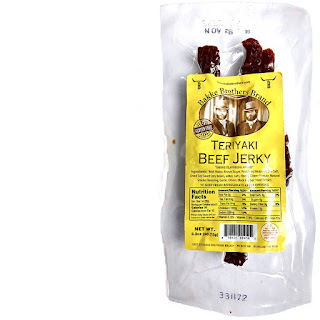 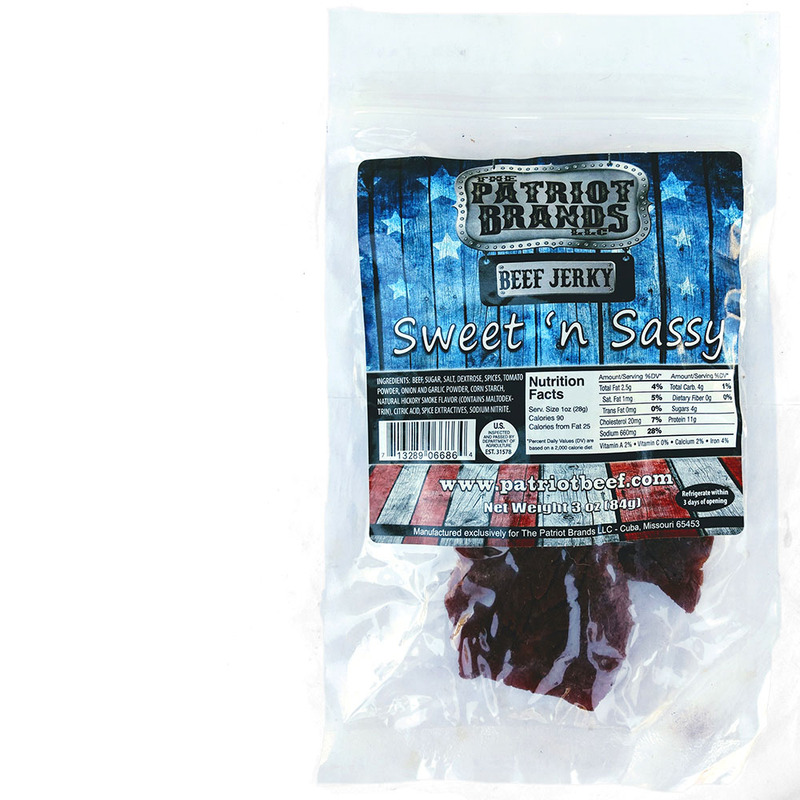 Based out of Mission Viejo, CA, Jeff's Famous Jerky is a brand owned by Jeff's Famous Foods, Inc. 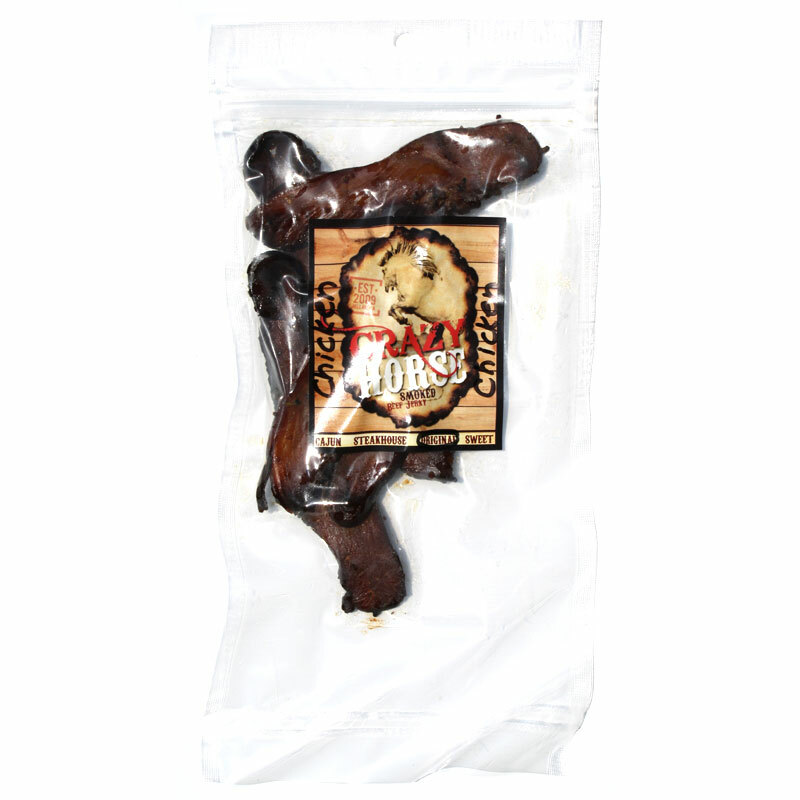 This Smoked Paprika Steak Tapas is made using "super premium authentic smoked paprika imported from Spain" according to Jeff himself. 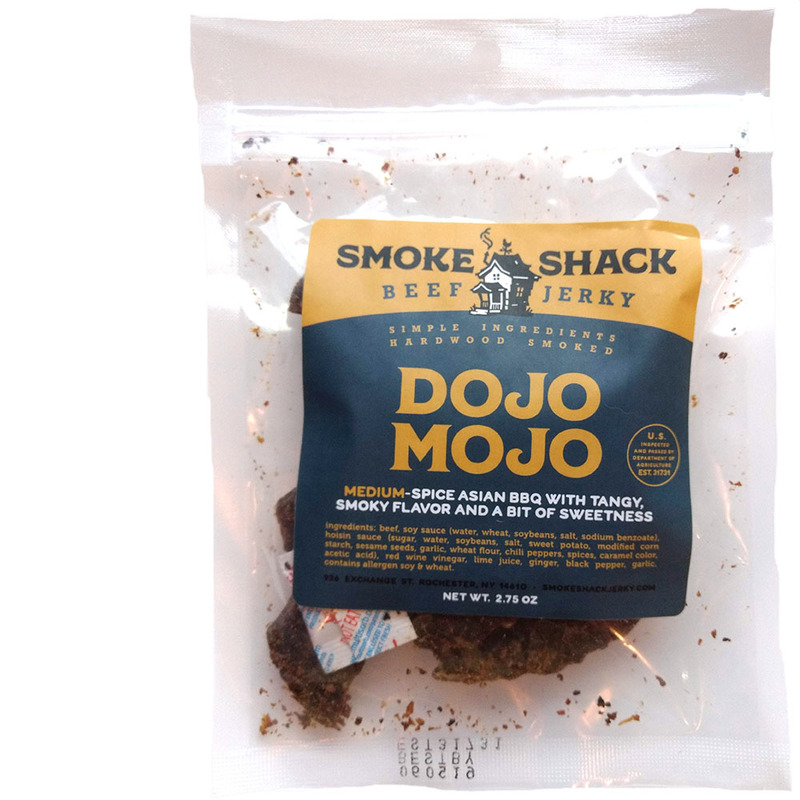 This Dojo Mojo is described by the company as an, "Asian BBQ with tangy, smoky flavor and a bit of sweetness", going on to say that it's mild in spice. This "Sea Salt, Honey & Pepper" variety is described by the company as being, "seasoned with freshly cracked peppercorns, sea salt, spices and sweet honey", going on to say that it, "packs an extra kick to its blend and taste". This Asian BBQ variety comes with no additional description or claims. 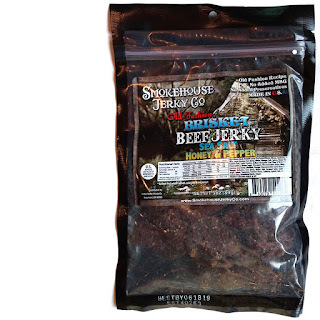 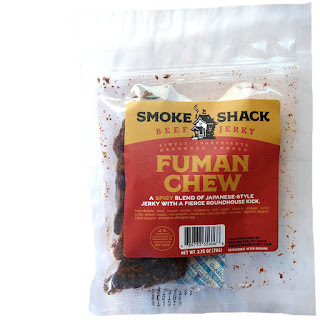 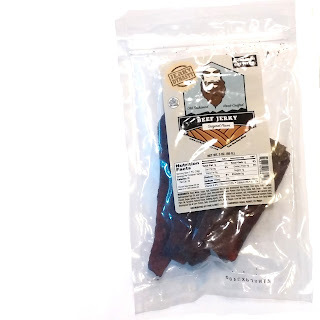 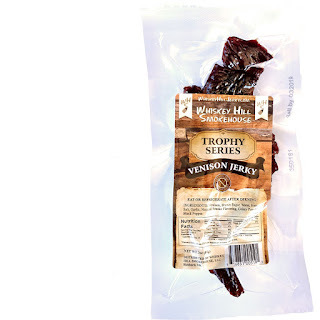 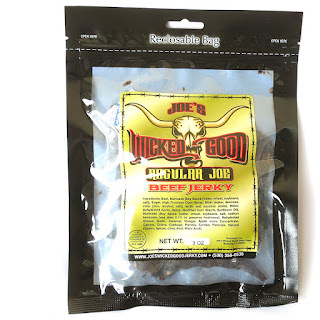 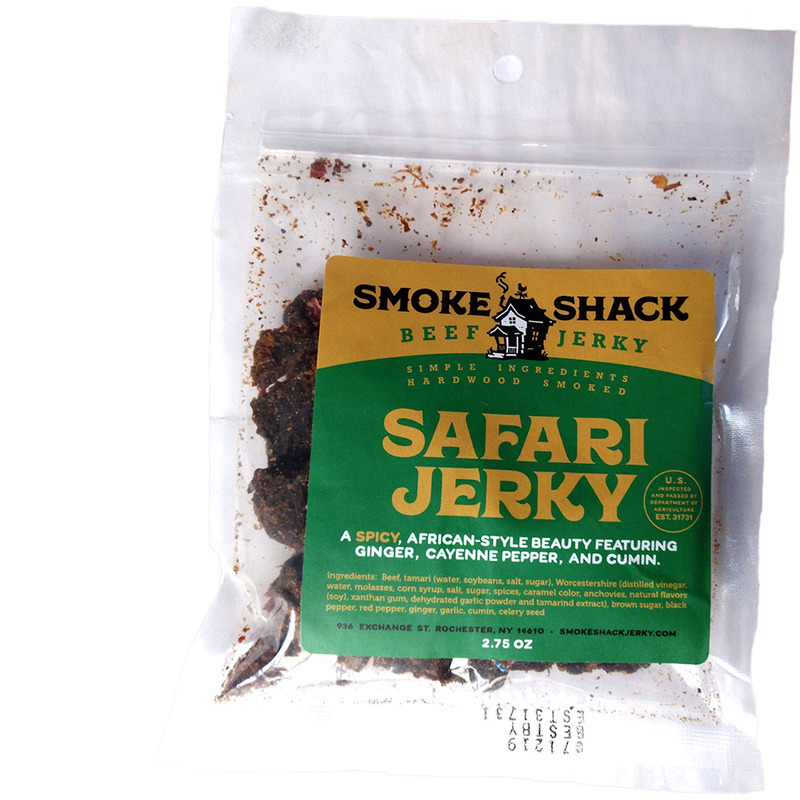 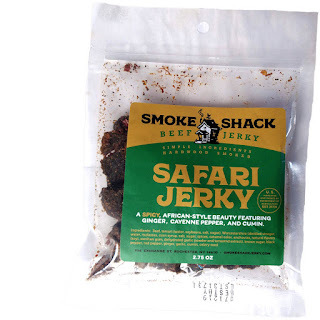 This Sweet and Spicy jerky is described by Murff as a, "combination of soy and sugar with a surprising spice", going on to say that it's for, "for lovers of sweet meat". 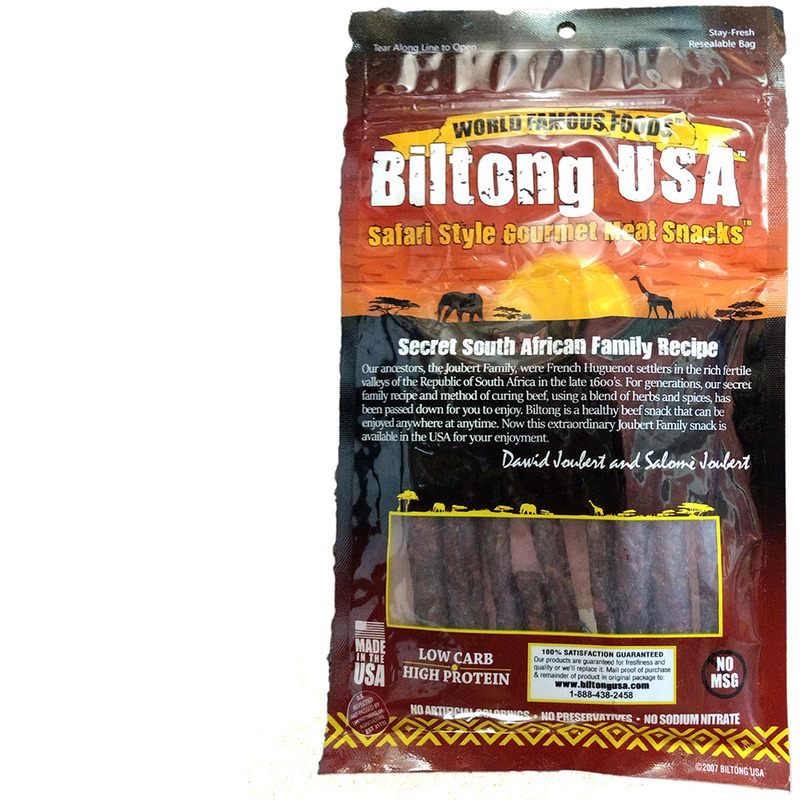 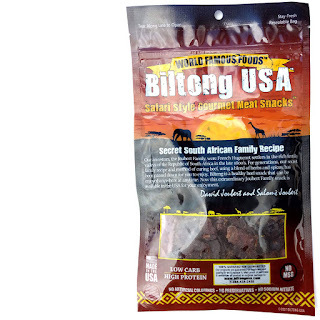 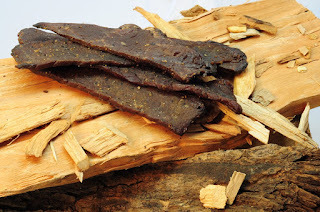 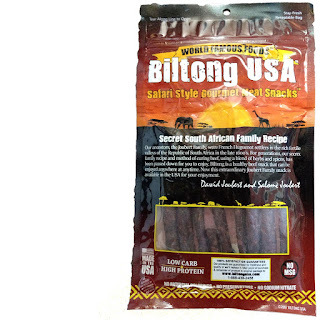 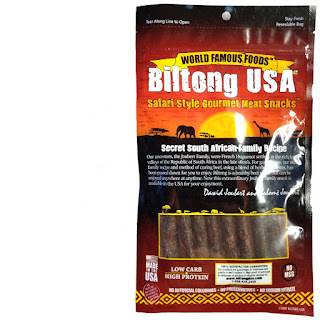 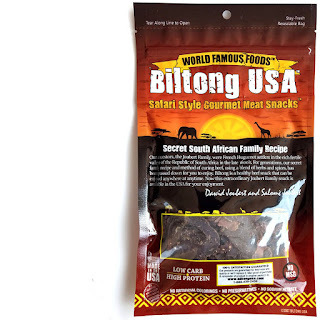 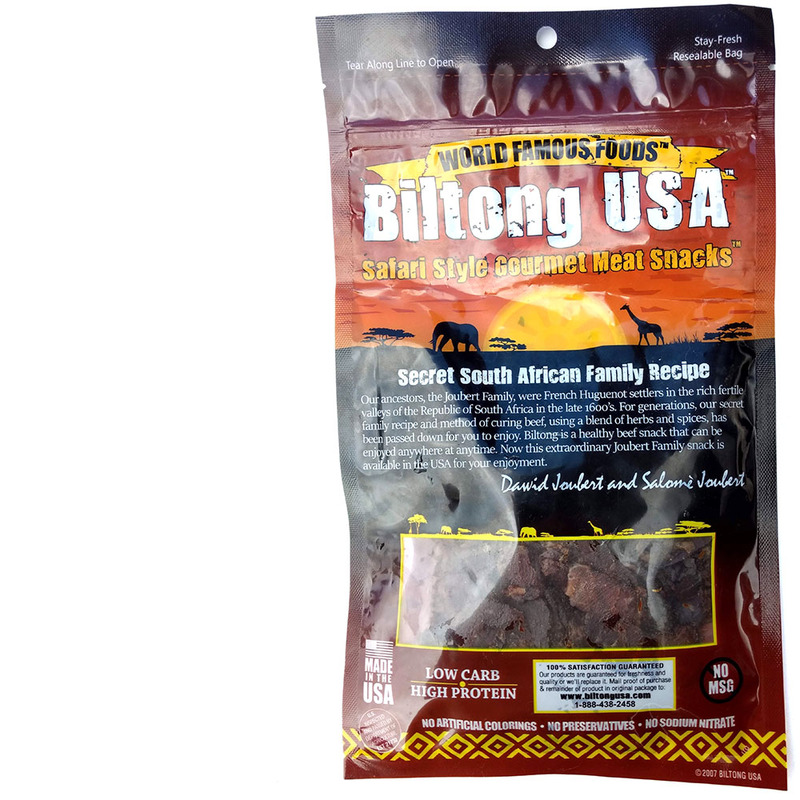 This Original Sliced Biltong is the brand's most popular product, it's their lean variety, whereas their "Traditional Sliced" is the fatty variety. 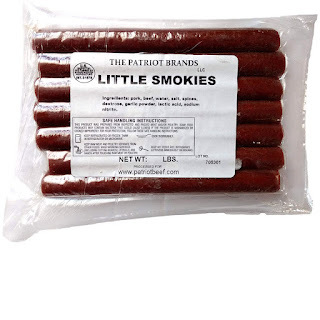 The package is also marked "Gluten Free". 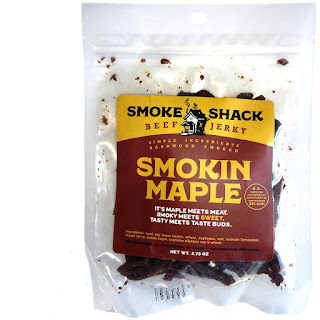 This Smokin Maple is described by the company as, "Maple meets meat, smoky meets sweet", going on to say that it's mild in spice. 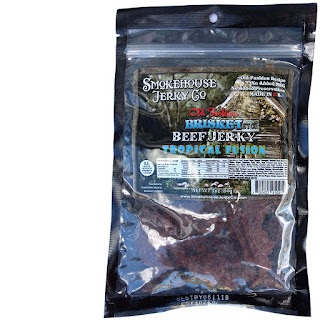 This "Tropical Fusion" variety is described by Smokehouse Jerky Co as a Mango-Pineapple flavor, going on to describe it as, "a great taste of the tropics with flavors of pineapple, mango and teriyaki for a sweet, citrus flavor". 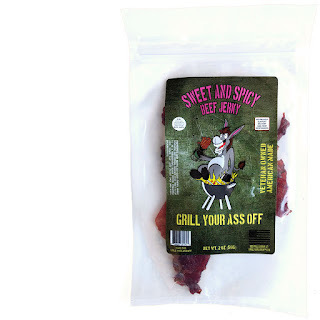 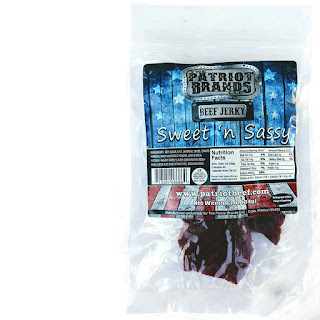 This "Sweet 'n Sassy" flavor described by the company as a barbecue flavored jerky, going on to say that, "A great Almost Hickory flavored BBQ bringing a sweeeeet taste in every bite, with just a tad of Sass... Not Hot, but mild enough it's got a little Taste of heat"
This Teriyaki Beef Jerky is marketed as, "Gluten Free", "No MSG", and "No Nitrates", and other than that, is simple marked, "Teriyaki". 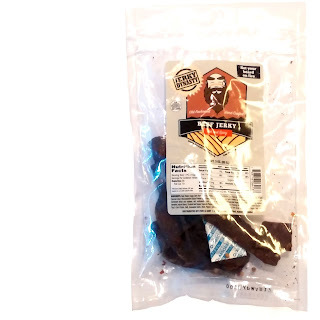 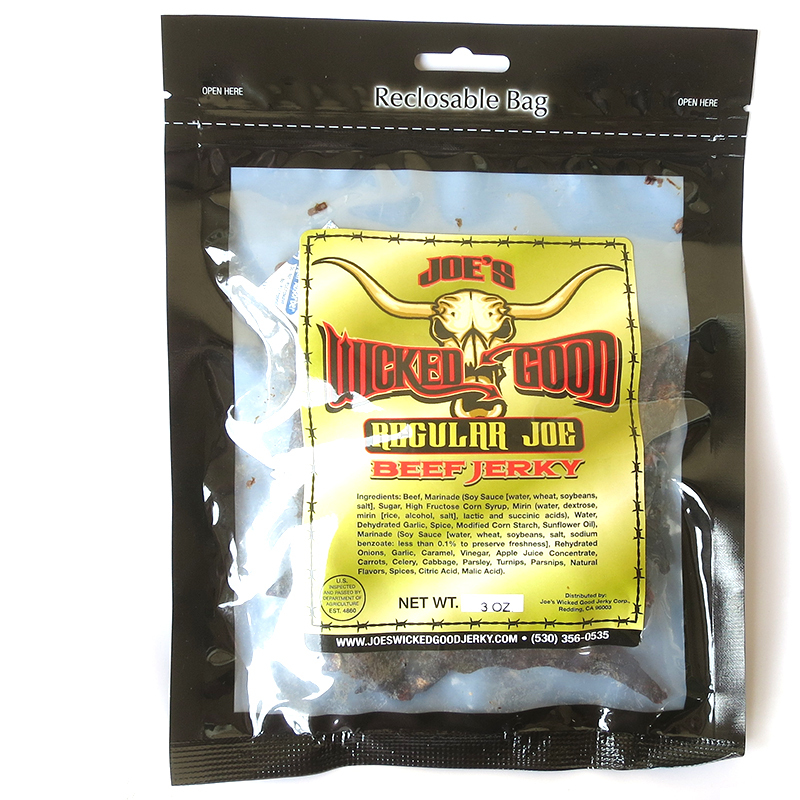 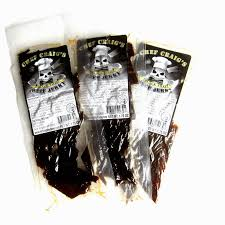 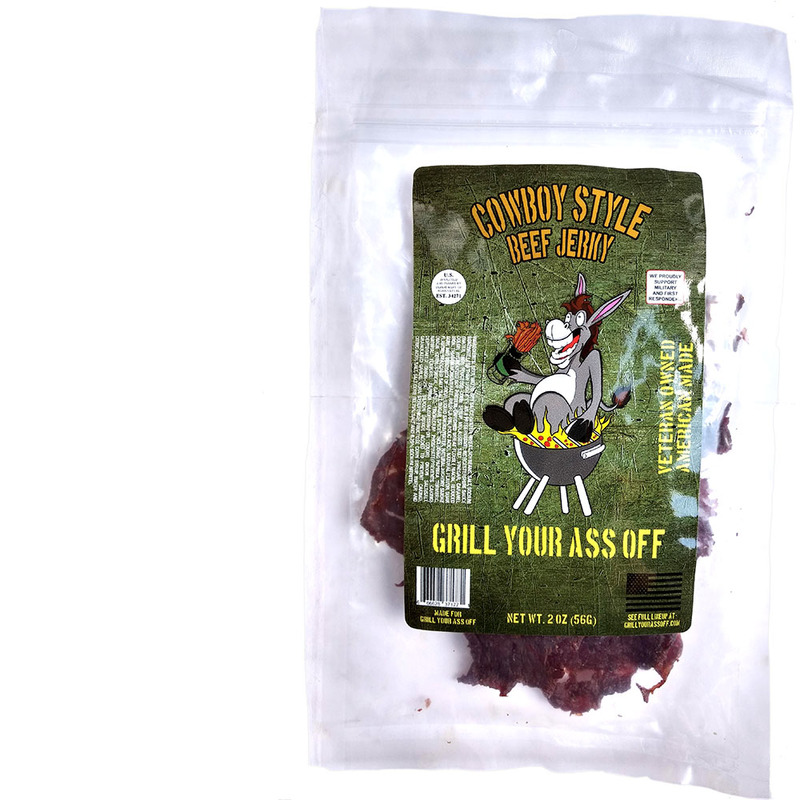 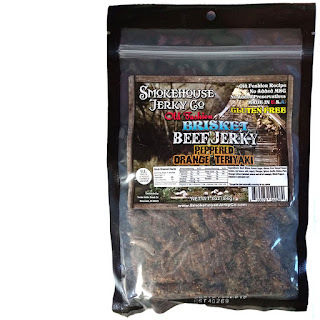 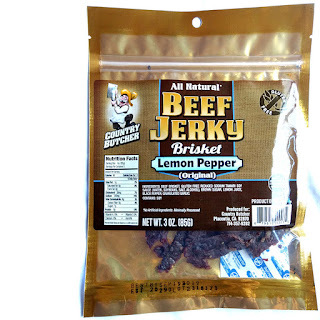 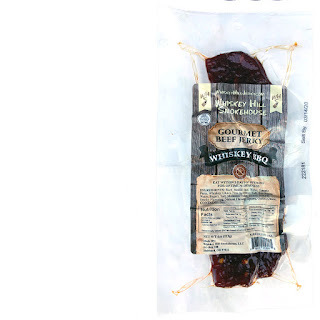 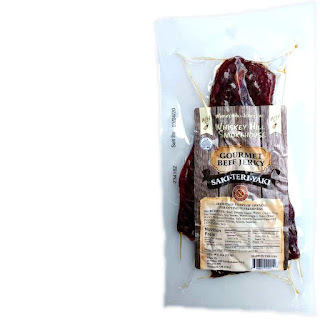 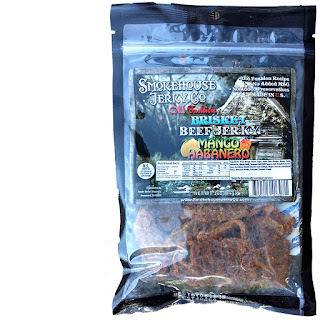 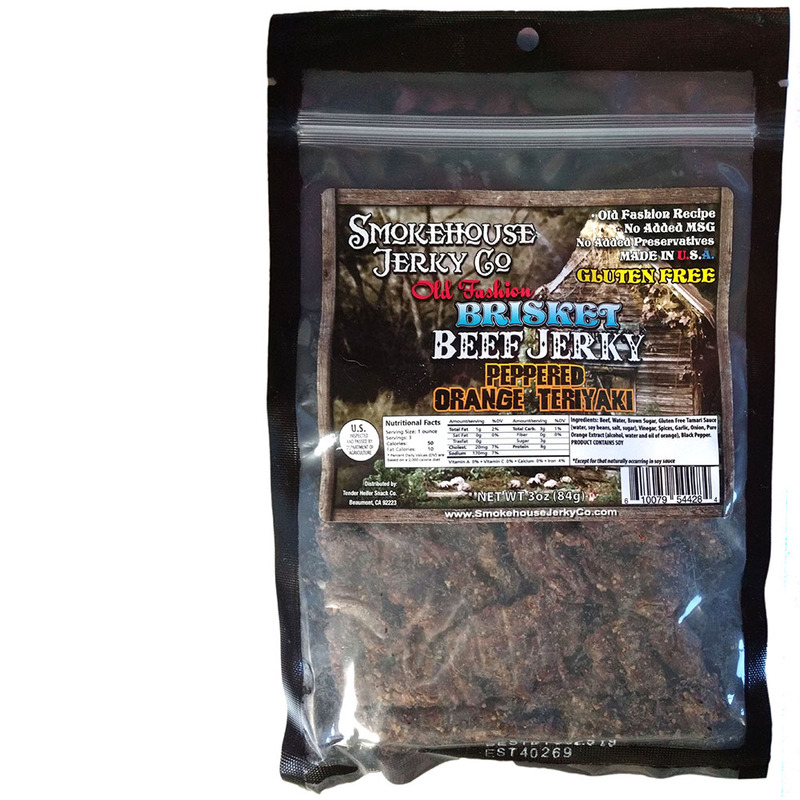 This Cowboy Style jerky is described by Murff as, "Rugged Trail Delight with just a hint of smoke". 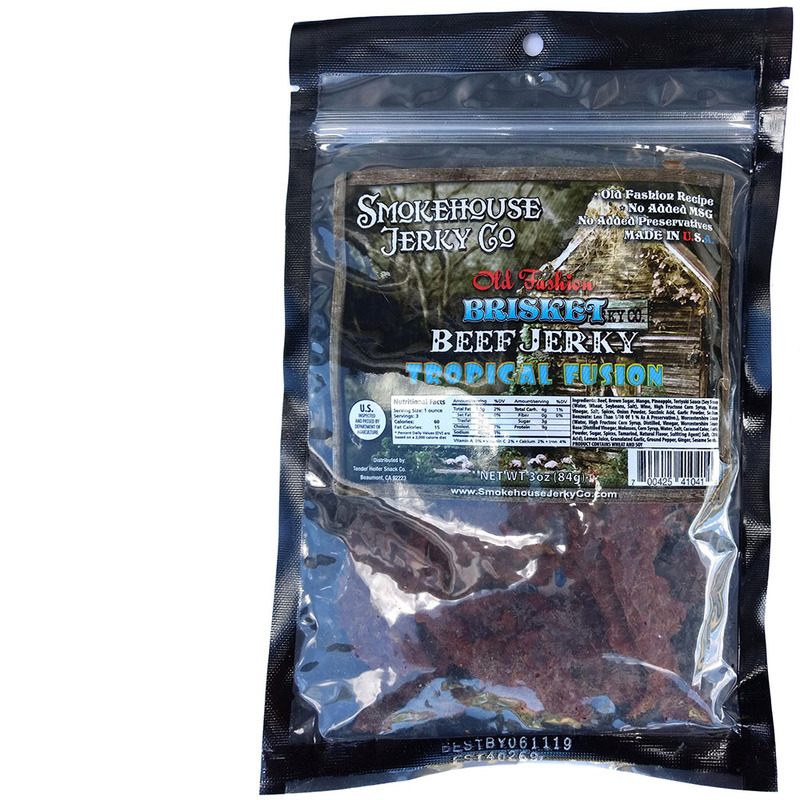 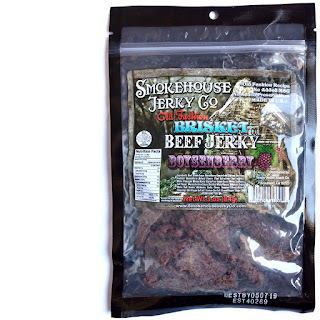 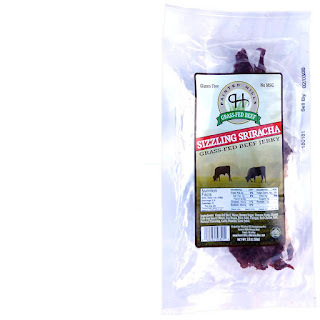 This "Boysenberry" variety is described by Smokehouse Jerky Co as having, "the sweetness of berries and the smoky, peppery flavor of our premium brisket beef", going on to say, "the boysenberry’s sweetness has a little bit more of a tangy taste which perfectly blends well with the jerky’s smoky lean meat".